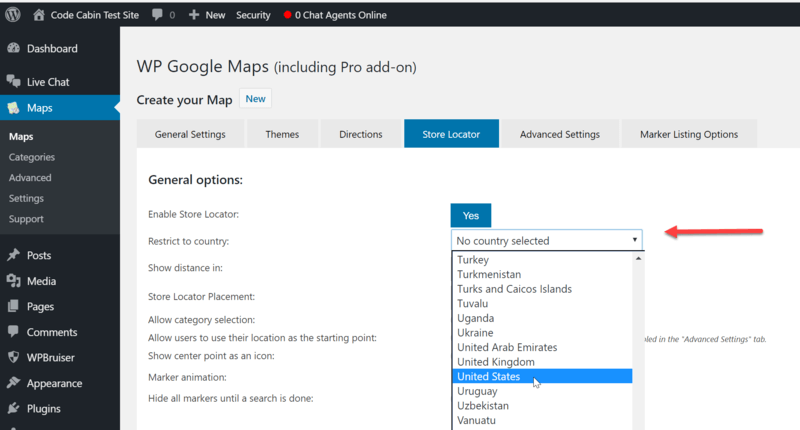 This article covers restricting AutoComplete to show only locations in a specific country with the WP Google Maps Pro Add-on. This feature requires WP Google Maps Pro. This documentation is current for WP Google Maps version 6. There are times when site owners need to restrict the Store Locator Autocomplete list to show only locations in a specific country. 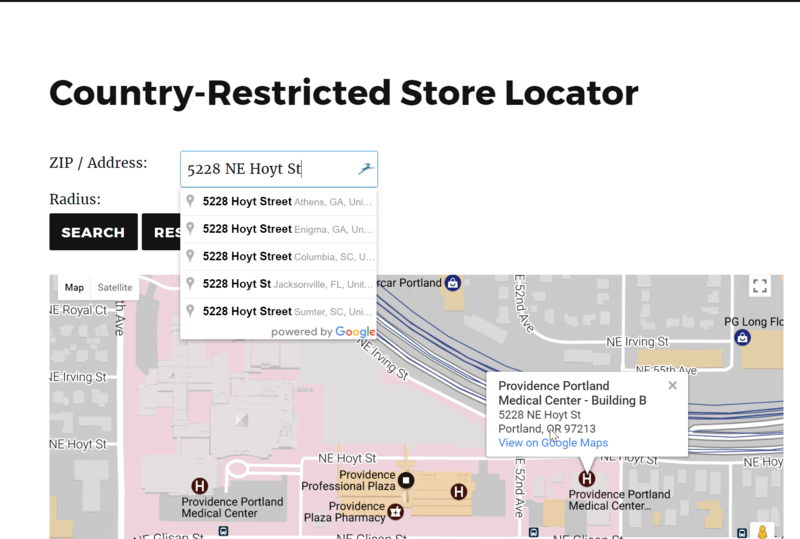 This is done using the Store Locator settings panel. See WordPress Dashboard → Maps. Select the Map you wish to edit. Then click the Store Locator tab on the Create your Map panel. Select the country you wish to focus AutoComplete results on from the Restrict to country drop-down list. Scroll down and click the Save Map button. When a visitor types in the search field for the Store Locator, only results in your selected country are shown in the results drop-down. This article covered restricting AutoComplete to show only locations in a specific country with the WP Google Maps Pro Add-on. If you need further assistance, feel free to post on our Support Forums or visit our Support Desk.